A versatile and highly affordable lift, this is ideal for accommodating short travel requirements, especially for wheelchairs. 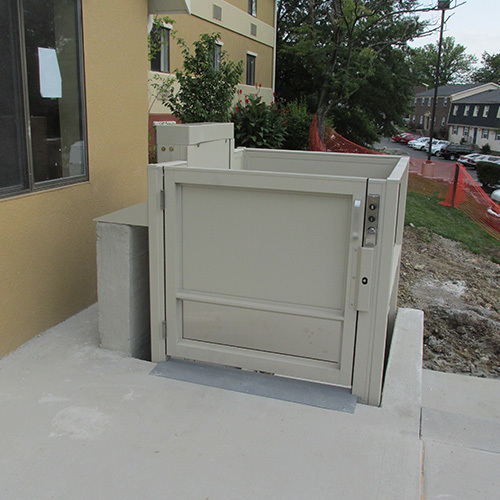 Your commercial establishment can now give complete access to those who use wheelchairs; whether they need to go up and down at an exterior location in your facility or to move between floors inside the building. Either way, the travel is safe, smooth, and easy. 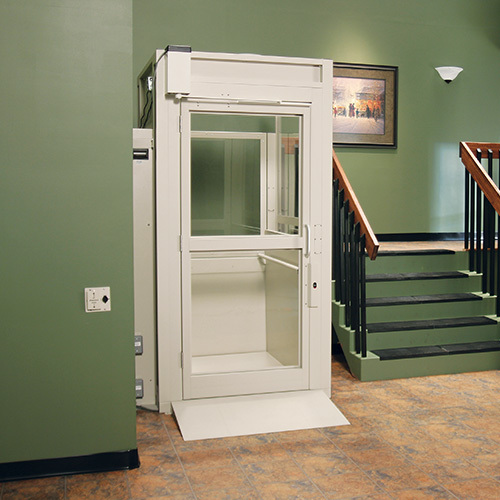 Suitable for Indoors or Outdoors, Transitions Lift & Elevator installs Screw Drive and Hydraulic Vertical Platform Lift Systems for Commercial Applications. 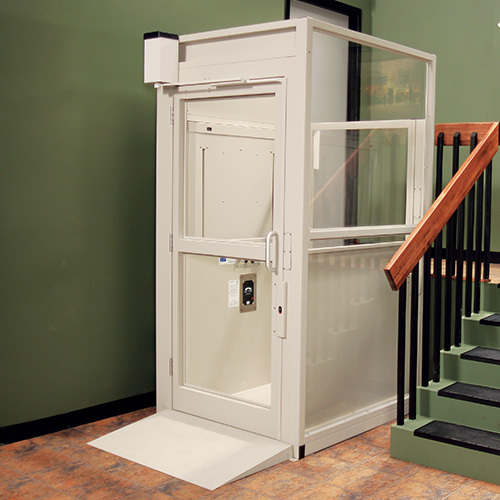 Our professionals are trained to install lifts properly, according to manufacturer specifications. Ruggedly constructed: Ideal for outdoor or indoor use and withstands weather extremes. Reliable operation for daily use. Fast Installation compared to an elevator. 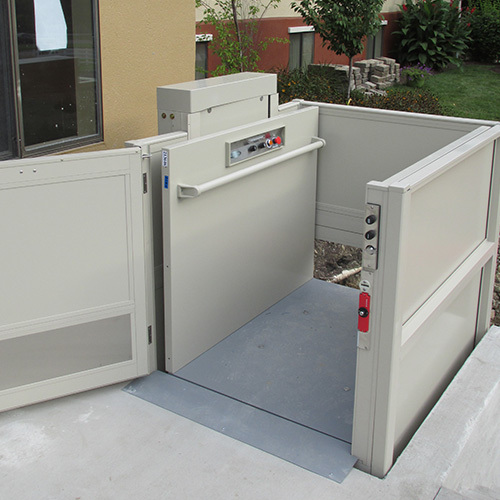 Other standard features: Continuous pressure operation, keyed access on car, automatic access ramp. Safety features: Emergency stop button on car, underpan obstruction sensors, non-skid platform, manual lowering device, keyed cab buttons and keyed call stations, automatic access ramps, slack cable switch. Professional Measure + Installation available in the following areas: Greater Cincinnati, Greater Dayton, OH, Northern Kentucky, Greater Louisville, KY including Southern Indiana, Lexington, Central Kentucky, Eastern and Southern Ky.